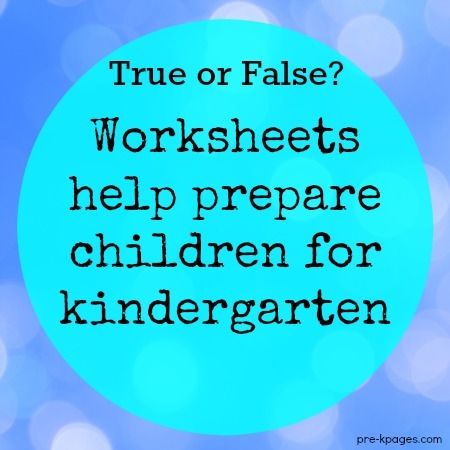 This page came about because I receive many questions from teachers looking for worksheets for their Pre-K or Kindergarten classes. This deeply saddens me because while that teacher is taking the time to look for worksheets on the internet he or she could be using that time to search the internet for valuable teaching ideas that will benefit their students so much more than a worksheet ever could. I realize that some of you may be angered by the implication that worksheets are not good teaching practice or even harmful. My goal is to provide information only, if you choose to read it you can agree or disagree with my views, but at least I have put my message out there. 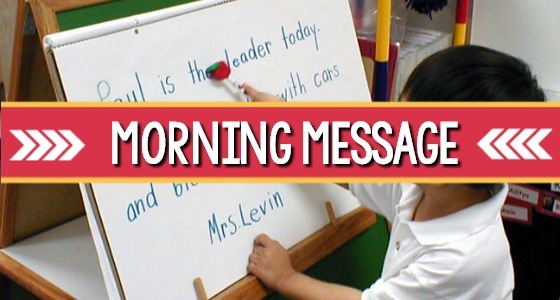 A new “code name” for worksheets is “morning work.” What a child really needs in the morning is a warm greeting from the teacher and interaction with peers! 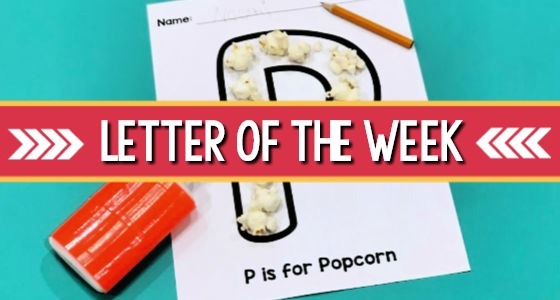 My No More Letter of the Week page that also fits with this theme. Some of the worksheet quotes below are taken from the article above. 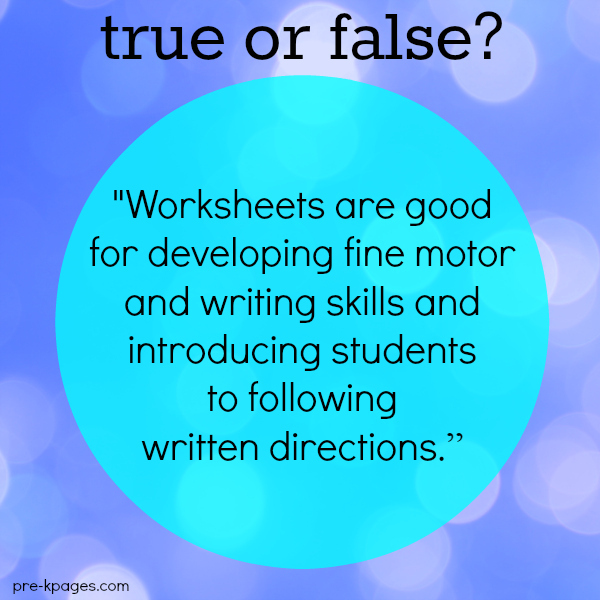 Worksheets can be used only one way. Worksheets and coloring books are generally considered convergent materials. They lead children to think that there is only a single correct way to use them, and they require little, if any, higher-order thinking. Our goal as professional educators should be lessons that encourage divergent thinking, not convergent thinking. Worksheet-based curricula dampen enthusiasm for learning. 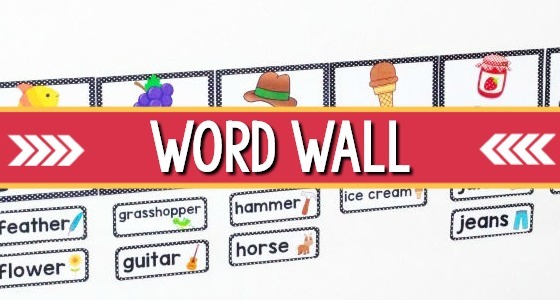 If worksheets have a place in the classroom they would be better found in classrooms of older children who have a background for working with symbols and abstractions (Bredekamp, S., 1987; Rosegrant, T., 1992). Worksheets and workbooks should be used in schools only when children are older and developmentally ready to profit from them (Bredekamp, S. & Rosegrant, T., 1992). “Teachers who use worksheets believe they are demonstrating children’s learning progress to parents. 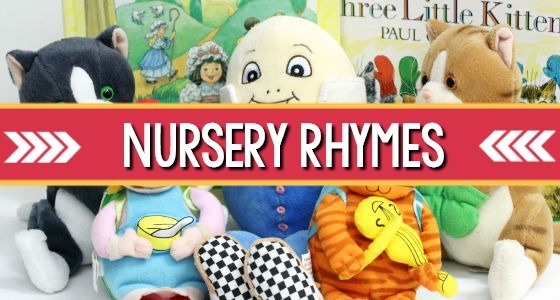 Unfortunately worksheet activities are not developmentally appropriate and can cause many problems.” Dr. Sue Grossman. The mere accomplishment of the worksheet task does not signify the child’s ability to read or comprehend. 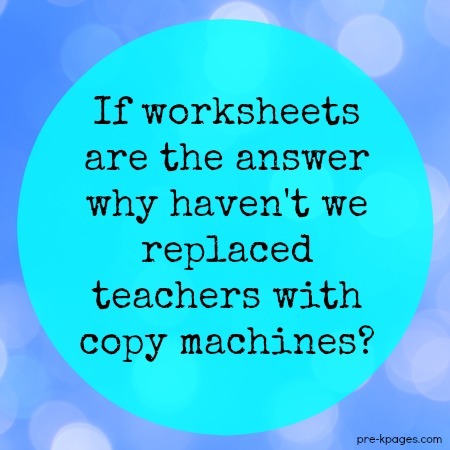 If worksheets are the answer then why haven’t we replaced teachers with copy machines? Appropriate Worksheets: For example, children experimenting with objects to discover if they sink or float can record their observations on paper divided into a float column and a sink column. This shows that they are doing actual scientific experimentation and recording the data. Center Labels: Signs in the classroom describing what children learn in the various learning centers help adults understand the value of children’s work in that area. Photographs: Photographs of daily activities in the classroom can be displayed around the room and in hallways. 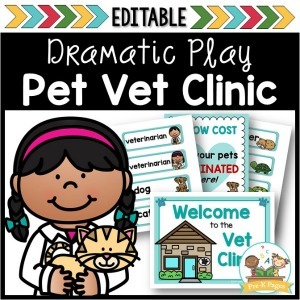 They provide graphic evidence to parents, administrators, and other teachers of children working and learning in a rich, exciting atmosphere. 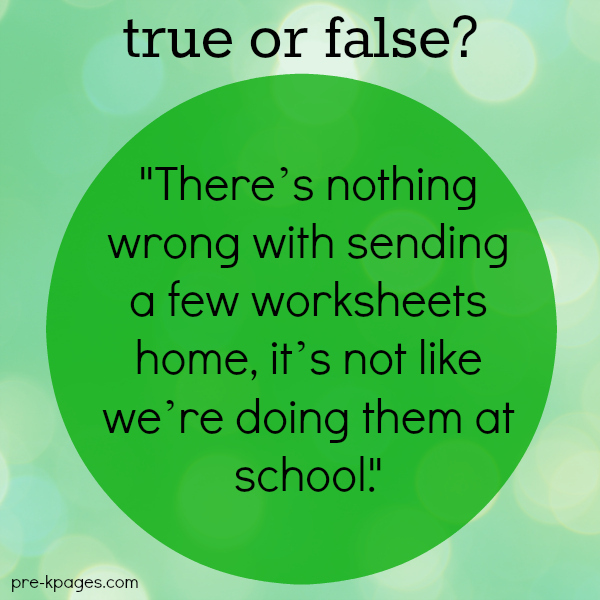 Below are some common misconceptions about the use of worksheets in the classroom. FALSE. Children do not always know what is best for them, just because they like something is not an indication that it is good for them. How many times have your students come to school dressed inappropriately for the weather or chosen to eat candy for lunch rather than the sandwich their mother packed for them? Because children do not know what is best for them, that is why we, as educators, must purposefully prepare appropriate materials and activities for our students instead of just copying off another worksheet, that is a cop-out in my opinion. As trained professionals in the field of education it is our duty to teach our students to the best of our ability and keep their best interests in mind while doing so. If we do not do that then we are cheapening the profession and adding to the already tarnished image teachers hold in this country. If I put out apples and a big bowl of candy for snack the majority of my students would choose the candy, but as a professional educator I would never put out the bowl of candy because I know it’s not good for them. I would have to peel and slice the apples to get the kids to eat them, it would be more work for me, but the apples are better for them than the candy so that is what I would do. The same holds true for worksheets, I know that there are better ways to teach so I don’t offer worksheets to my students so they aren’t faced with making a choice between an appropriate and inappropriate activity. FALSE. Balance? Balance what? It’s o.k. 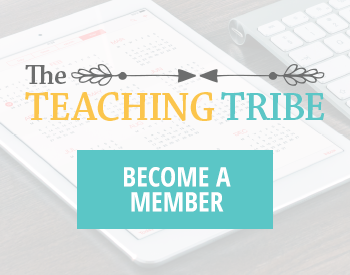 to have a balance of inappropriate and appropriate activities in your classroom? So some parts of the day the children are receiving appropriate instruction and other parts they are not? That statement just doesn’t make sense. If worksheets are inappropriate then why is a “little bit” of anything inappropriate o.k.? 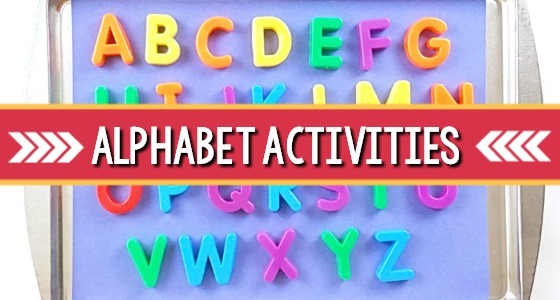 As for the fine motor part of the statement, there are many more appropriate types of activities children can be doing to develop their fine motor skills than doing a worksheet, again, I find this to be a cop out. 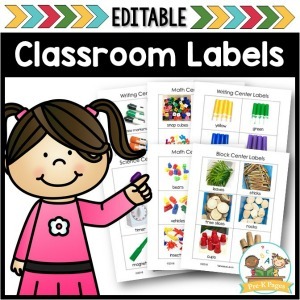 It’s easier to copy a worksheet and slap it on the table in front of the student rather than carefully planning out activities that will really engage them and develop their fine motor abilities at the same time. 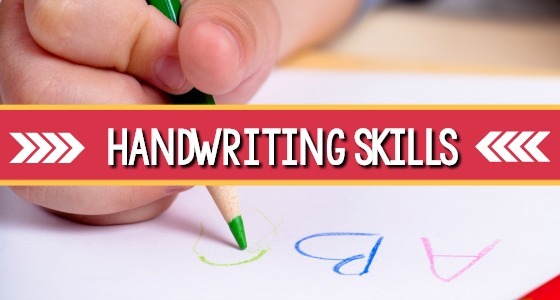 For more handwriting tips click HERE. FALSE. When students are struggling academically the first thing that needs to be examined is teaching practice, we cannot blame academic failure on the lack of worksheets. I have seen situations where teachers were relying heavily on worksheets and then they became “forbidden”, the result was an academic drop in the students because the teachers didn’t know how to teach without using worksheets. The first thing that any educational institution should do before “banning” worksheet use is to make sure the teachers know how to teach without them. FALSE. When we send worksheets home for “homework” we are sending the message to parents that worksheets are the way that young children learn best. Most parents are not professional educators, it’s our job to not only do what is best for our students but to also educate their parents about what is best as well, if we don’t then who will? Many parents don’t know any other way to help their children at home other than worksheets and workbooks. For this reason we hold a “Homework Night” early in the school year every year to educate our parents about how they can help their children at home. Our presentation includes information on how worksheets are not appropriate for young children and why. We explain that worksheets teach children that there is only one right answer and they do not allow children to think for themselves. We explain how writing on paper with lines (two solid and a dotted line in the middle) is not appropriate for certain ages and why (visual accuity, fine motor not developed enough, creates frustration and lack of desire to write etc) We also tell parents that there is a difference between their young child and older siblings and how older children are more developmentally ready to profit from using worksheets occasionally. Then, we introduce our homework program and show the parents specific ways they can help their children at home each night. If worksheets are what they’re doing in Kindergarten then perhaps the teaching practices in those classrooms need to be examined. This is how the worksheet cycle perpetuates itself, one teacher or grade level relies heavily on worksheets for instruction and then all the other grades/teachers fall in behind them at the copy machine. I challenge teachers everywhere to break the worksheet cycle and actually teach young children instead of occupying them with worksheets. It’s just like peer pressure in high school, don’t let yourself fall victim to it. So much information. I do agree that as a society we are using too many worksheets and not enough active learning experiences. We all have our own learning styles and therefore it makes sense to use multisensory technigues for teaching. Developmentally worksheets are not appropriate for little learners; many of which have not yet established a hand dominance or an efficient grasp. Children learn by doing, by partaking, by being involved. I’m so pleased to see this article, being a teacher means hard work, dedication and creativity, work sheets are an easy way out for teachers to keep children occupied, missing out a lot of hands on learning opportunities. I personally feel the same way about homework for preschool age children. 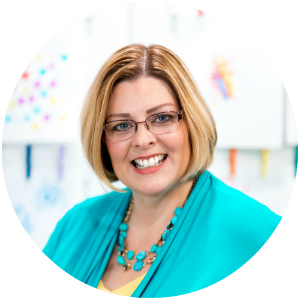 “Worksheets Don’t Grow Dendrites” is a great book that addresses this very issue, Vanessa. I personally don’t take issue with students (late K and older) using some kind of paper to record their work to include in their portfolio, but it is not a worksheet. With all the pressure to create 1st graders out of kindergartners and kindergarteners out of preschoolers, etc., as well as the proliferation of worksheet-style materials for sale online now, it seems that “best practice” and what is developmentally appropriate for kids has gone by the wayside. This is such an important topic–thank you for addressing the falsehoods AND offering solid alternatives! 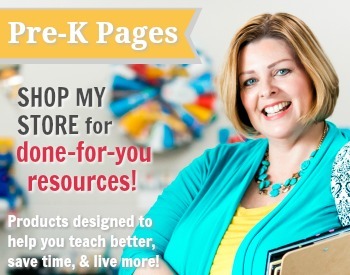 I have always loved your website and have adopted many of your ideas into my classroom. However, this article is by far the most important. Over the past few years I have transformed my pre-kindergarten curriculum from being heavy worksheet based to provocation based. Instead of making copies, I am now carefully analyzing every material and activity to ensure it lends itself to discovery and scaffold learning. The results prove it has been well worth my time. My students are happier, less stressed, engaged, and learning. 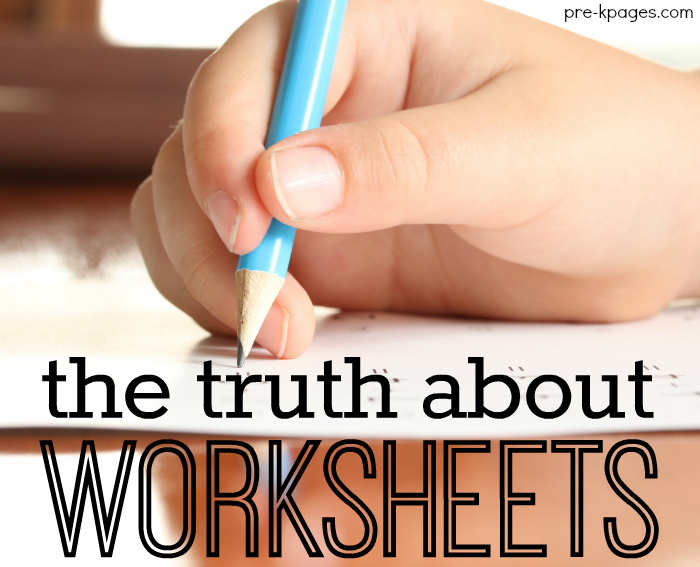 I once believed that worksheets were the only way I could control their academic process. Letting go of this control was the hardest thing to do, but children can and do create and construct their own learning when given plenty of time and the right materials. I offer my support of any teacher making this transition. It is not easy, but when you see a child’s face with they have their first “ah-ha” moment-it will inspire you to keep away from the copy machine. Your comment made my day, Monique! I’m thrilled to hear about your success with moving away from using worksheets in your classroom, kudos! I’ve been a Homeschool mom of 7 since the early 1990’s. I’m still currently homeschooling 4. I’ve learned that worksheets/workbooks have not been a good experience. I feel that when you hand a child a worksheet, 90% of the work has already been done for them. All the child has to do is fill in a few blanks. My children struggled with retaining the actual intended information. I took a drastic approach and ditched the workbook and worksheets. I bought cheap composition books and had the children actually wrote their own content for lessons. When I tried to teach phonics through workbooks my children took FOREVER to grasp the blends a day rules. One day I decided to pick the “oo” and have my son go through the house to see if he could find things that had the “oo” sound. He brought me a bottle of “shampoo”. After that he was pointing and reading everything going with the “oo” sound. He grasped it within minutes this way rather than weeks of me trying through workbooks to no avail. So I’m just not a fan of workbooks and worksheets. Our homeschool went from stacks of books to a simple composition book and a few pencils. They research everything on their own and read and copy great classic literature. My 9 year old son has beautiful handwriting compared to his 15 year old cousin who still writes in print block letters. Simple and to the point is the best.